Screen porch, Large deck, outside warm shower. two car garage plus parking at front house! You will love living this house! The pool and club house accessing pass is included with your reservation for all guests. Yes, no extra charge for access the amenities.The linens are not included with your rental, but it is available with extra charge through the third party. The house is central located. It's about 3.5 miles to the Bethany beach. It's just a short drive south to Fenwick Island,Ocean City.Md; North to Rehobeth,Lewes (N.J.ferry port) , the Delaware State Park and tax free outlet shopping. Similar homes closing the beach rent for at least twice as much. It has a over size screen porch and large deck with grill and outside warm shower.There is community outdoor swimming pool ( 5 minuses, or less walking distance, open on summer from memorial day to two weeks after labor day), Three tennis course ,children play ground ,and excises equipment in the Club house . All of those amenity are free to our guests and easily walking to facilities . The dining area seats are for 10 persons . There are four TVs in the house. All bedding and furniture are clean and comfortable. Come relax and enjoy! It is a great place for family reunion. This is family friendly quite community and nice neighbors. Please keep noise level down. No pets allowed and no smoking allowed. The house is not walking distance to the beach. But it give you plenty space inside and outside for your family and friends at reasonable cost. The House has enough space for two families. You will enjoy outside living at screen porch every morning with nice pond view and lovely sun. The only voice you will hear maybe just birds sing a song. The parking on front house is easily for multiple cars. The outside private warm shower give you extra show place. After whole day outside beach, kids may would love play at pool. If Dady would like fishing, the best fishing spot " Inlet state park" with newly added modern bathroom and plenty parking spaces is a short driving distance. Golf is just cross street. If Mom would like do some outlet shopping while in the area, it is also manageable. If young adults look for more active night life, Ocean city boardwalk and Rehoboth Beach are driving distance on south and north of house. The huge water park is also driving distance. There are plenty restaurant and grocery shopping in 3 to 4 miles ranges . At end of the day, your family can enjoy BBQ at deck and gathering at screen porch for night hours. Every one will sleep whole night at very quiet community. It is luxury single family house and has hardwood floor everywhere .Central air condition with whole house, plus one extra portable air condition in upstairs bonus bedroom for added comfortable lever for that big room. Hard wood floors throughout, granite counter tops. The first-floor master suite and spacious bathroom with soaking tub and walk in shower.This spacious 4 bedrooms, plus a den. is located in the new private community of Fairway Village. Visitors are free to use of the private community outdoor pool( from Memorial Day weekend to Sep. 20),three of tennis courts, excise equipment of inside of club house and children play ground . The community is very close to Grocery shopping center. Across the street to the Championship Bear Trap Dunes 27-hole Golf Course, named “One of America’s Best Courses” by Golfweek Magazine. Bear Trap offers a host of amenities to its neighbors, including a pro shop, fine and casual dining . local and national performances throughout the summer at Bethany beach. metered parking is available at Bethany beach. Activities: Bethany beach is home to eight golf courses. The Delaware area is known for its clear beaches, family atmosphere and many state parks including Delaware Seashore State Park & Fenwick Island State Park that offer hiking, fishing and boating year round. They are guarded beaches with restrooms and refreshment facilities and showers. There are free live music concerts on the Boardwalk all summer long, craft shows, farmer's markets, art festivals as well as a 4th of July parade and firework. Near Major Cities: We are located less than 3 hours from major metropolitan areas, including Washington DC, Philadelphia and Baltimore. Ocean View offers the coziness of small town living with easy access to beaches, golf, boating and tax-free shopping. One of the owners is a licensed real estate agent in DE and PA. owner occasional will bring a small dog to the property. Our family loves the beach and has always spent one week or two at beach area every year, even before we own this property. We have found that Bethany Beach is the best Beach in the area and the perfect place for our family. We love golfing, fishing and, off Couse, jumping into sea wave. This property is closing to all of the activities. Our family with 3 kids are able to enjoy the beach every year and are no longer bothered by hotel's inconvenience because this house. The house has every basic items we have at our home. You will find it is true "home away from home". toilet, shower, Outside shower is warm water with the private door. kitchen is fully equipped and cooking utensils were provided. It include coffee maker (for ground coffee), toaster, blender, automatic rice cooker small hamburger grill, pots, pans, glasses, dishes. There is outdoor community swim pool, which open from memorial weekend to 2 weeks after labor day. We liked our stay. Owner was reachable and responsive. overall we enjoyed our stay! The house is a newer construction with an open layout. rooms were spacious and house was clean. the development is not complete and its pretty quiet. we took use of the community pool and the little ones loved it. Bethany Beach is a short drive away when we wanted to go to the shore. We long anticipated our vacation in DE and we were not disappointed. The house is exactly how it is portrayed in the photos. It is light and airy and comfortable for our 7 adults and one rambunctious 2 year old. The beds were comfy and so was the furniture throughout. The enclosed porch was heaven and whenever someone needed to get away from "group" activities it provided a lovely retreat. One caveat is that one of the upstairs bedrooms has an unexpected step down, so be careful when you first arrive to the house.The kitchen was well stocked and considering we did a lot of cooking for a big group, I only missed two things : a sharp knife and a good non-stick pan. Not a big complaint. The beach was a quick ten minutes away from the house. Saturday and Sunday it was hard to find parking but not impossible. The other days of the week it was easy to park. downloading the local parking app would make things easier for all beach goers. There were plenty of places near the beach to get a snack or a meal. The community pool, playground and fitness center were no more than a five minute walk from the house and with that rambunctious young tyke they were a lifesaver in the hour before dinner. And finally, with regards to Ms. Wenfei, the owner, she was very responsive, helpful and truly concerned that our visit should be care free. Enjoyed our stay. Home was comfortable with lovely kitchen, updated appliances, and a screened porch which we used everyday. Happy to have the option of the community pool when we did not want to commute to the beach. Little too far from downtown and beach. But traffic was light during the week. We did find Ocean View to have some of its own eating spots, activities, and food shopping. Owner very responsive. Our entire family, which included toddlers, absolutely loved this house...so much room! The layout of the house, spacious bedrooms (room enough for portacribs), screened in porch, and outside shower, made for a perfect experience for all of us. Also, the kitchen was well equipped. The drive to the beaches, was better than we had originally thought. If I could buy a vacation home, it would be just like this one! 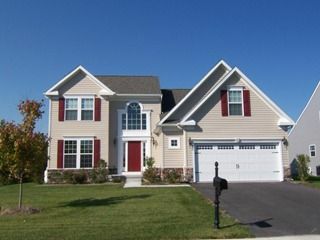 Thank you Nora for offering your beautiful home, so others can experience a fabulous Bethany beach vacation! P.S. my 2 year old grandson keeps asking to go back to THE beach house! The house was perfect for our family vacation. Centrally located to everything. It was so nice having the community pool. The kitchen in the house is very well equipped for any and all meals that you wish to have there. The bedrooms are nicely equipped with pillows/comforters and comfy beds. House is very easy to get to. We are only a 3.5 miles drive to beautiful and relaxing Bethany Beach, boardwalks and 9 miles to Ocean City Md. It's only short drive to the Delaware Seashore State Park beach which has restrooms, showers, snack bar, umbrella rentals and life guard and a short drive to Fenwick Island , Rehobeth ,beach and tax free outlet shopping. The community is next to the 27 hole public championship golf course at Bear Trap Dunes.named “One of America’s Best Courses” by Golfweek Magazine. Highlights of the area are the quiet beaches, activities including state and national recreation areas, fishing,golf, tennis, and fantastic biking trails. Shopping includes everything from boutiques to extensive nearby Delaware tax free outlet malls. Many restaurants - casual and gourmet, beach boardwalks, miniature golf, movie theaters, outdoor concerts, water slides, and amusement parks are nearby.The charming town of Ocean View is just 1 mile from the Atlantic Ocean and 1 mile from the Indian River. Note: The map pin point on the homeaway site is not accurate. It shows 1.8 miles to the Bethany Beach. But , my property is 3.5 miles to the beach, not 1.8 miles. ATTENTION: The rate could be changed without notice before the reservation be confirmed. The holiday rate may increasing, please inquiring first. The reservation will be considered confirmed only after payment and signed lease contract has been received. This is family friendly quiet community. No unaccompanied youth for senior weeks / graduation parties etc. No exceptions! Clean fee $ 110 will add to rental 3 days or,less than 3 days. no addition clean fee for weekly rental. The linens are not included, but it is available with extra charge through third party. We do not do winter short term rental.